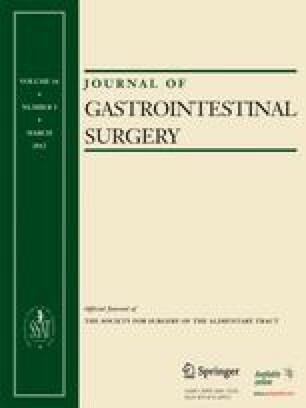 How to Counter the Problem of R1 Resection in Duodenopancreatectomy for Pancreatic Cancer? Although duodenopancreatectomy has been standardized for many years, the pathological examination of the specimen was re-described in the last years. In methodical pathological studies up to 85% had an R1 margin.1,2 These mainly involved the posterior und medial resection margin.3 As a consequence we need to optimize and standardize the pathological workup of the specimen and to extend the surgical resection, where possible without risk for the patient. In an instructive video we show the technique of duodenopancreatectomy with emphasis on the dorsal and medial resection margin. Furthermore we show the standardized pathological workup of the specimen, involving the reporting of all the resection margins. To accurately determine R1 status at the posterior and medial resection margin, a close collaboration between pathologist and surgeon is crucial. Pathologists do a standardized workup of the resected specimen with staining of the surfaces and systematic analysis of all the resection margins. Surgeons need to extend the resection of the pancreatic head to the superior mesenteric artery by dorsal dissection. This work was supported by the Association for Research in Surgery of the Swiss Surgical Society, the Novartis Foundation and the Bernische Krebsliga Switzerland. This video was presented May 26th 2011 at the Swiss Surgical Society Meeting in Geneva. The online version of this article (doi: 10.1007/s11605-011-1791-4) contains supplementary material, which is available to authorized users.